We would suggest firstly logging out of Instagram, then choosing the correct account that you wish to link with your store. Once the token has been generated, copy this and keep it in a safe place for use in a few minutes time. 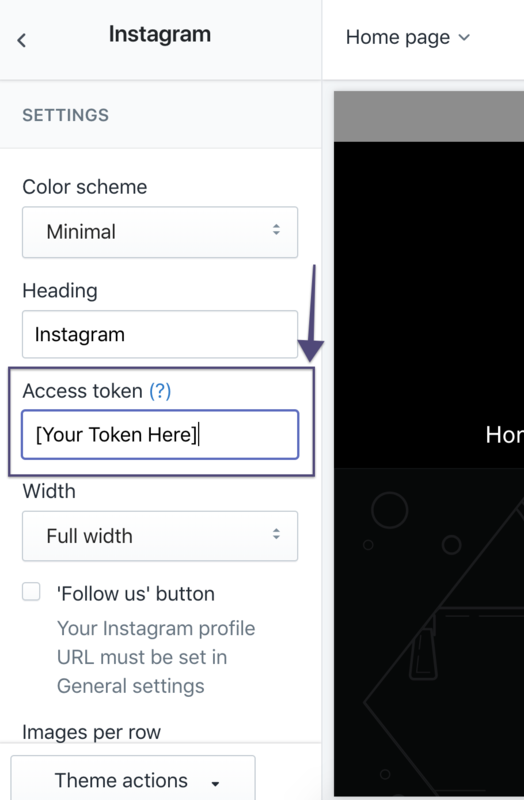 Under “Access Token”, copy and paste in the token you generated earlier - save all changes. You should then have the latest images from the correct Instagram feed. For additional information about using Instagram, we have a great guide available here.